The Dragons got their season underway last weekend in hot, humid and wet conditions in Townsville, and came away with a resounding loss. Given their off-season, which involved the loss of Jack de Belin and the suspension of recruit Korbin Sims, it was hardly a surprise they were out-muscled in the forwards, with the final scoreline reading 24-12 in favour of the Cowboys. Things are only going to get tougher this week for the Red V, with Tyson Frizell ruled out to a ruptured testicle. He is likely to miss four to six weeks, and it leaves the Dragons pack looking a little inexperienced to face one of the best in the game. Souths, on the other hand, got their season underway by winning the latest edition of the Book of Feuds against the Roosters. Playing on the hallowed turf of the Sydney Cricket Ground, the Bunnies dominated in wet and ugly conditions against the defending premiers, and while the Roosters had their excuses – mainly coming back from England after the World Club Challenge – the Rabbitohs never took their foot off the gas, starting the Wayne Bennett era positively. Given their forwards hammered away up the middle against a strong Roosters pack, they will be expected to do the same this time around, allowing Adam Reynolds to guide them with his deadly accurate kicking game. It was Cameron Murray who was the leading light for Souths in Round 1. The lock, who has been promoted to start this year, putting a stunning performance as he came up with a try and 127 metres to go with 27 tackles. All of South Sydney’s starting pack cracked the hundred-metre mark, and with Murray locking down the middle third, it meant the Rabbitohs could get quality ball to the newly created right-hand side of Sam Burgess and Greg Inglis early and often. If those two continue to stay fit and in form, it could be the most lethal attacking combination in the competition, playing outside a mix of Adam Reynolds, Cody Walker and Alex Johnston. 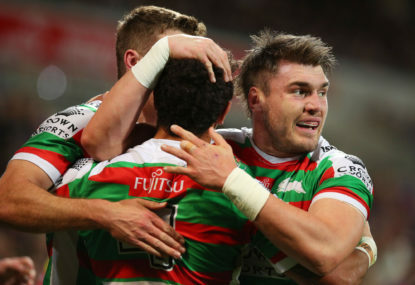 While the right edge has the potential to be destructive, it’s Souths playing under Wayne Bennett which has some tipping them for the premiership. His coaching clearly had an impact last week, particularly on Adam Reynolds, who was able to find the right mix in his attacking game last week between running and kicking, as well as working strongly with the forwards all the way through the contest. Reynolds has long had one of the best kicking games in the competition, and it pushed the Roosters onto the back foot last week. While the Roosters were able to hang into the game, the combination of a strong forward pack and good kicking game, particularly in the wet, was what won South Sydney the contest. There is almost no doubt though that if they apply the same tactics and pressure, the Red V are going to struggle in a big way. That evidence is all on the table from last week, when they had major issues containing Michael Morgan and Jason Taumalolo. Without Frizell, Sims and De Belin, the Dragons will have Blake Lawrie and Jacob Host starting in their pack, with another pair of inexperienced youngsters in Luciano Leilua and debutant Josh Kerr coming from the bench. Kerr was impressive in the NRL All Stars pre-season match, but the intensity of the NRL will be a step up, and with utility Matt Dufty and the serviceable Jeremy Latimore filling out the bench spots, there are no names outside of Paul Vaughan and maybe James Graham which will strike fear into the visitors. Dufty may well hold the key for the Red V off the bench. Provided the forwards can at least hold their own and not get rolled in the middle third, Dufty gave the Dragons some extra pace and structure off the bench against the Cowboys, as he seemed to do during the pre-season. If the forwards do get rolled though, it’s not going to matter what the creative players try to do. 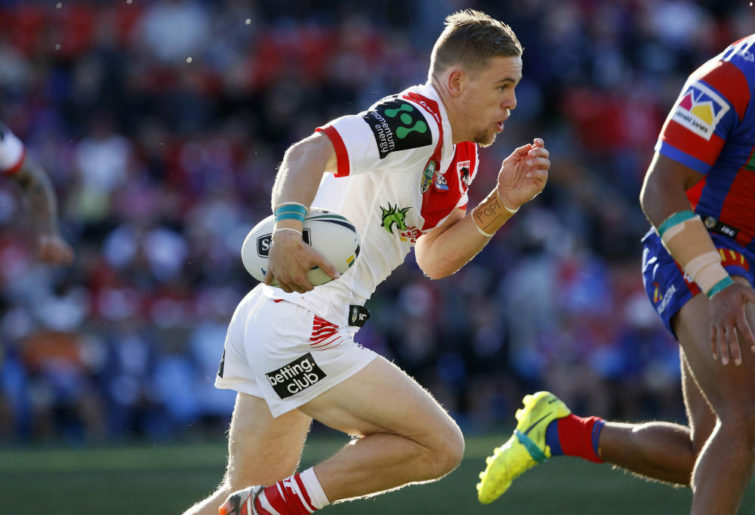 When the sides met in the Charity Shield, the Dragons played their best footy when Dufty was on the park, and he will get some minutes here to prove it again. The Dragons starting spine were a little off the mark last week, following on from their pre-season games, which ran hot and cold. The signing of Corey Norman has undoubtedly impacted balance, with Gareth Widdop struggling so far to get involved strongly on either end of the park at the back. There were always going to be teething issues, but if the Dragons can’t get things clicking this week, it could end up a cricket score. The other key for the Dragons is the speed with which they play. Particularly that of their defensive line and play the ball. They were both poor in Townsville last week, and while fatigue may have been a factor as they struggled to contain the raging Taumalolo, it’s not an excuse. Speed of play is something Souths dominate when they are on top, and a big part of Bennett’s gameplan. Fatigue will again be a factor for the Dragons this time around, with a five-day turnaround and significant travel back from Townsville during the week. Teams off five-day turnarounds just don’t win all that often, and it just adds to the factors going against the home club. In saying all of that, they have won 16 of their last 22 games at Kogarah, and with this being a big Sydney rivalry, a big crowd is expected. 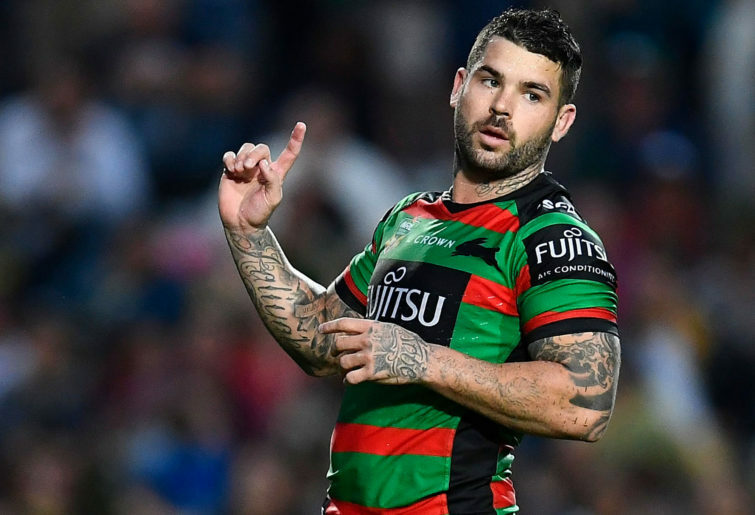 But then again, Souths have game-winners all over the park, and if Adam Reynolds is required to step up, just like he did in the semi-final between these clubs last year, he undoubtedly will. Don’t expect a blowout, but also don’t expect the Dragons to threaten to win this one. They will have periods where they look like they are in it, but in the end, they will go down fairly comprehensively.